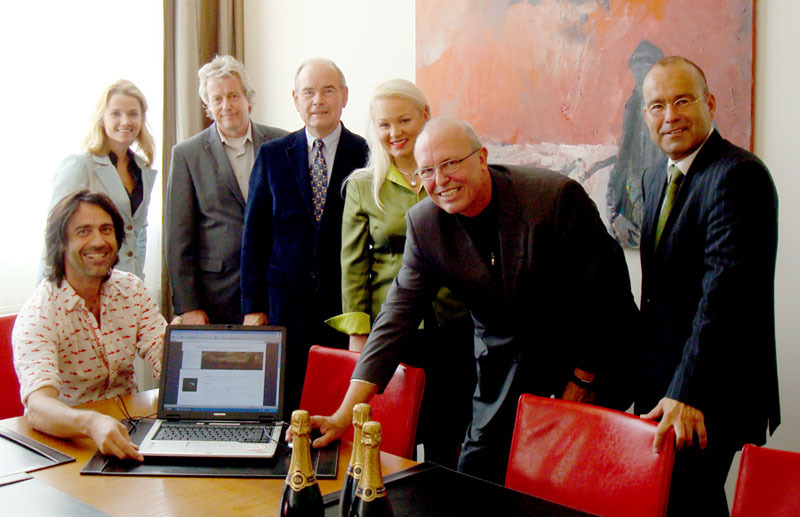 On 22 September 2008 this website has officially been activated by the ‘wethouder’ (member of the executive board) for Cultural Affairs in Gorinchem, Mr. Jack Oostrum. 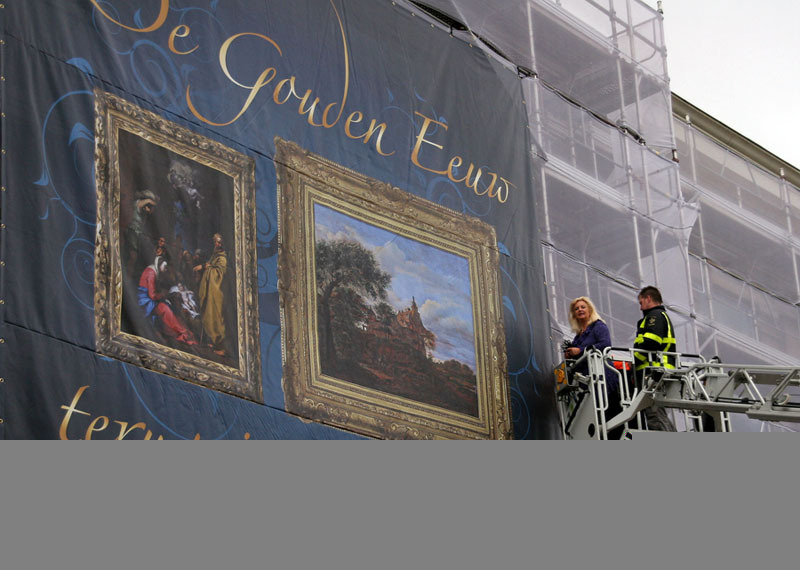 A large picture has been installed on the Grote Markt (‘Grand Market’) in front of the Gorcums Museum. During the cleaning activities of the outer walls of the museum in the autumn of 2008, this picture of 7 by 7 meters with a painting of Abraham Bloemaert, a painting of Jan van der Heyden and the text ‘The Golden Age returns to Gorinchem’, will loom large. See also the picture gallery. On 24 October 2008, the ‘College van Burgemeester en Wethouders’ (the mayor and the executive board) of Gorinchem will receive the people who have been involved in this project from the beginning for a special diner. Invitations will go to, amongst others, representatives of the Advice Committee, the board of the Golden Age Gorinchem Foundation, the benefactors of the Foundation and those people who have contributed to setting up the activities of the Golden Age Gorinchem Foundation.